Helping Humans ages 5-95 Beat Anxiety, Depression, and OCD. "Find peace over constant worry, calm over unwanted thoughts and the courage to not care what others think". A 2 hour Class for Parents. Do you have younger children who are showing signs of anxiety? Have you felt that counseling isn’t necessary, but knowing how to help your child is? Then this class is for you! 1) COPING SKILLS to manage symptoms and combat anxiety. 2) AWARENESS, learn why anxiety is attacking your child. 3) FIGHTING THE LIES, learn about self-talk and how to defeat the stories anxiety tells us. 4) EXPOSURE, learn techniques that will guard your child from panic. Next class starts Wednesday, April 17th. Class starts at 7:00pm and ends at 9:00pm. Join me for a free 1 hour webinar. Often, the most caring, nurturing and supportive parents can actually increase their child's anxiety. In this class you will learn counter-intuitive parenting skills to identify, treat, and raise your child to be fearless. Classes are held every 2nd and 4th Tues. of the month from 11:00-12:00 pm MTN. Simply click to sign up, fill out the contact form and you'll be sent an invite for the webinar. "It's my desire to help as many people as I can overcome anxiety. It's difficult to live fully when anxiety and depression are dragging you down." While I am tempted to impress and dazzle you with all my experience and degrees, I really want you to understand why I can help you. I want the information I share to help you decide if we’ll be a good fit in working together, not just list the things I’ve done (though I will at the end for those interested). What you probably want to know most of all is a) do I know what I’m doing and b) what inspires me to work with clients with anxiety, depression and OCD. The first part will be answered by the resume-type stuff, the second by sharing a little about myself. I love working with clients with these struggles because I’ve been there, done that. I understand on a personal level the feelings and destruction that anxiety and depression can cause. I know what it’s like to have crippling panic attacks, having constant nagging worry and wondering if it will ever end. While symptoms from depression and anxiety are often typical, the people who experience them are unique. Your path may look very different from mine, but I’ll certainly understand your journey. I tell my clients that therapy is like a microwave. It simply speeds up the process of healing that normally would happen over years of self-help and work. My question is: “Why go through all the misery and spin your wheels when I can show you the way”. Because I've gone through this too, I know the work it takes to get out. If you’re tired of being unhappy and ready to make a change, then I’m the man for you. I can't change you. You have to change you and I am ready to help support you in that. I AM NOT A RENT A FRIEND THERAPIST. I roll up my sleeves and get in there with you. I’ll give you concrete tools and help you and get to the core issues that are holding you back. I work with adults who are tired of living a sub-standard life, who have recently been hit with panics attacks or are finally ready to beat their social anxiety, depression or OCD. I also love working with younger children who are just experiencing anxiety for the first time. I know if I can work with a child, with the help of the parent, we can bust through anxiety and depression quickly. Finally, I'm great with teenagers, not all therapist can, or want to say this. And to answer the very first question: Yes, I do know what I'm doing. I love what I do and I'm really good at it. I graduated from the University of Utah with a BS in Sociology, minor in Psychology and a Certificate in Criminology. I later graduated in 2001 with a Masters degree in Counseling. I’m currently a member of the American Psychological Association, International OCD Foundation certified (one of just a handful in Utah), certified in the Teaching-Family model (parenting model used by many youth programs) and trained in Neuro-Linguistic Programming (method of therapy that promotes rapid change for many issues). I’ve worked in international therapeutic boarding schools, was the director of a specialized adolescent psychiatric hospital (I'm very experienced in diagnosing) and worked with families in their homes from LA to New York. I’ve been featured on KSL radio, completed after care counseling for the TV program Hoarders, and worked with various high profile clients from London to Singapore. However, despite my work in the world community, my passion lies with helping my neighbors. "My son was driving himself (and us) crazy with his over achieving. He would spend way too much time on homework assignments and then have emotional break downs when he didn't get a perfect score. Jackson would worry so much about what other people thought, that he avoided his soccer games and other activities. Video gaming became a problem and shutting down increased. 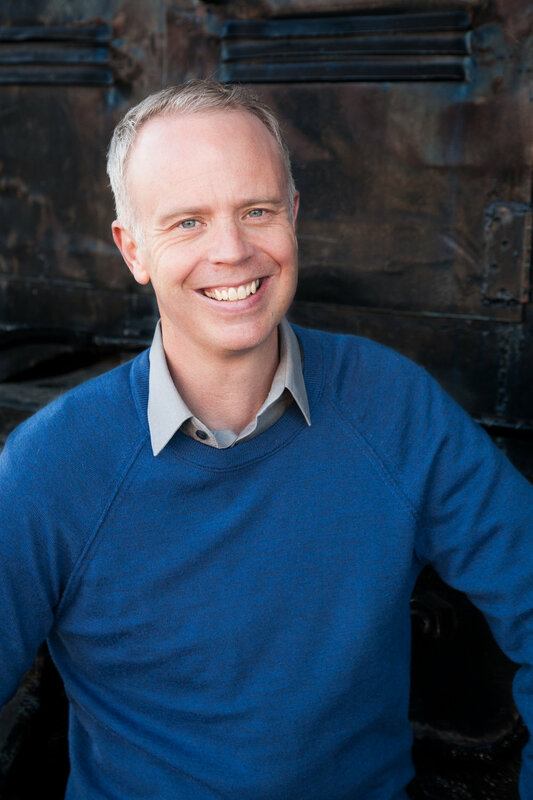 Jeff helped us understand that our son was struggling with perfectionism and pleasing. We starting seeing hope as our son learned key skills of: letting go, good enough and facing his fears. Our son is still a high achiever, but now recognizes that failure is learning." "I was afraid to meet new people, get a better job and enjoy life. I'm now engaged, back in school and no longer live in fear." "Panic attacks were crippling me. I was afraid at any moment to be hit with rapid heart rate, cold sweats and the fear that I was dying. I've conquered these attacks. I'm now free of panic after only two sessions." "I felt fearful all the time. I guess you could say I was a chronic worrier, but I had nothing to worry about. Jeff helped me over come my anxiety and realize I can live without anxiety." "Jeff helped our son overcome his severe OCD. Our son had constant, horrible thoughts that he was going to hurt other people. we learned that this was a form of OCD called intrusive thoughts. It was hard work, but our son no longer has these thoughts." "Depression controlled me. I felt like I was in another world. I didn't want to be around people. It took going to counseling for me to realize there were ways to end my depression. I would recommend Jeff if you need a counselor for depression." Do I, or my child, need help? It seems the discussion of anxiety and depression has never been more common. Have these mood issues increased, or are we just more aware? With information freely flowing at our finger tips, it's hard to know what's applicable. What I can say is most of us will not leave this planet without experiencing some anxiety or depression, even obsessions and compulsions. So how do we know when to seek help? Clearly your visit to this page tells us you're struggling. When depression and anxiety don't decrease on their own and effect daily living (school, work, family and fun), then it's time for help. There are several types of anxiety, I"ll explain them here. Social Anxiety, It’s the extreme fear of being scrutinized and judged by others in social or performance situations: Social anxiety disorder can wreak havoc on the lives of those who suffer from it. This disorder is not simply shyness that has been inappropriately medicalized. Obsessive-compulsive disorder, commonly called OCD, appears in different ways, and not every person has the same symptoms; many people have combinations of various OCD symptoms. In general, those who have OCD suffer from unwanted and intrusive thoughts that they can't seem to get out of their heads (obsessions), often compelling them to repeatedly perform ritualistic behaviors and routines (compulsions) to try and ease their anxiety. Aches or pains, headaches, cramps, or digestive problems without a clear physical cause and/or that do not ease even with treatment are also very much symptoms of anxiety and depression. First of all, it's important to recognize that anxiety and depression are the most common emotional problems, which means a lot of research and methods of help have been created. You don't have to struggle with anxiety and depression, period! I like to compare it to diabetes. For many individuals, if they eat right, exercise, improve their stress levels and sleep you'd never know they had diabetes. Actually, they would live a more healthy and full life due to the need and desire to take better care of themselves. So what methods are used to treat anxiety and depression? Assessment and education is the first step to getting proper help. In your first hour long meeting I'll get to know you as a person and begin understanding what your symptoms are. It's important that you are being treated as a person, not a diagnoses. However, it is imperative that we understand what form your anxiety has taken (see types above) so we know what path to take. It is also extremely healing to begin to let out what's been bothering you and know that there is hope. I will also spend time explaining to you what anxiety and depression are, and are not. The more we understand the "enemy" the better we can conquer. History gathering and goal setting is the next step in conquering your mood. Understanding how you were raised, how experiences in life have effected you and what you "really" want in this life is imperative. We often go around chasing the dreams other people want for us, leading us to empty paths. Goal setting is very important in counseling. My goal is to get you in, an get you out as soon as possible. Understanding what you want to accomplish helps keep the sessions focused and improves success. Skill building and cognitive behavioral therapy is the best combination to get you feeling better, quick. Identifying the core issues and negative self beliefs is imperative to ending your anxiety and depression once and for all. Exposure work is the final piece to ending your anxiety. Don't worry, it's not as intimidating as it sounds. Basically, you get the opportunity to face the very fear that has created the angst. When you finally face the monster that has been bullying you, you quickly realize that it has no teeth! There is a strong sense of renewal, almost a new lease on life feel as you conquer your fear. Instead of dreading the day, you'll be excited each morning to attack all your goals for the day. "Basically, we're going to end the behaviors and symptoms of anxiety, by changing your thoughts and habits. As well, we are going to get to the core of why you do what you do. When we change habits and beliefs, we truly end panic and manage anxiety." The bulk of what I do is provide individual counseling. I work with older children, teenagers and adults. I've have worked for many years in therapeutic boarding schools with teenagers, so you could say I work well with this population. However, I also enjoy working with adults (that's the easy part of my job). I also provide classes for parents who are struggling with their children's behaviors and anxiety. I love helping parents learn the techniques to prevent their child from falling into the pitfalls of anxiety and depression. I do. For those individuals who cannot attend therapy in my office, I offer video conferencing and phone therapy. I've been conducting online therapy for clients all over the word for the past 10 years and find it very effective. Yes, I'd prefer to see your wonderful face in my office, but don't hesitate to contact me about online options. It can also be very helpful for the busy executive or time crunched teenager (not to mention the over worked cab driving mother). A simple answer, the less time you've struggled, the less time treatment takes. I have found that working through panic attacks can take as little as one session, when treated within in weeks of one's first attack. Social anxiety and generalized anxiety on average take 4-6 sessions. Depression varies, according the time the individual has suffered. OCD tends to take the longest, but individuals tend to find rapid relief as they start getting help. How much is counseling, will my insurance cover sessions? Counseling is $125 for the 50 minute session. I am contracted with Blue Cross, Blue Shield. If you have BCBS, you simply pay your co pay at the time of visit and I will bill the rest. Your co pay is the same as you would pay any medical specialist, typically $25-$35. If you have not met your insurance's deductible, you will need to pay the contracted amount until it is met. The contracted amount is typically $95. If you have any other insurance, you can utilize your out of network benefit. You will pay at the time of service and be given a receipt which you will submit to your insurance. Your insurance will then reimburse you for the counseling services. You can also use your health savings card (also called a flex spending, or cafeteria account). How do I know if I really need help? If your anxiety or depression is effecting your job, relationships, interests or schooling then you need help. You also may want to seek help if you feel you are holding back in reaching your goals and dreams. Many people seek help because their situations have become desperate, but many others find help to take their success to the next level. If I have other mental health, relationship or emotional issues can I still see you for counseling? Yes, while working with anxiety/OCD and depression are my specialities, I work with other issues too. I have had experience in helping with addictions, child behavioral issues, ADD/ADHD, and family counseling as well as sugar addiction. Yes, sugar addiction is a thing! Check out www.conqueringsweetaddictions.com for more information. Typically clients come in for one session weekly. Your sessions will "taper off" to every other week , every third week and so on as progress is made. Again, the number of weeks vary for each individual. Do you offer a group to help with anxiety or depression? Yes, I currently hold a group to help with social anxiety. I know, how does one get people with social anxiety to come to a group? Well, if you come to just one group, you'll understand! There is nothing more rewarding than overcoming one's fears! See www.convertintorvert.com for more information. After I have scheduled with you I'll send you the intake paperwork. This paperwork will be like what you complete at any doctor's visit with contact information, previous treatment and insurance information. It will also contain information about confidentiality. You should know that any information about you is private and can only be shared with your consent. Please print, fill out and bring the paperwork to your appointment. When you arrive find a seat in the lobby and I'll greet you at your appointment time. In the first session we will discuss the issues which brought you to counseling, prepare a plan for treatment and discuss assignments which will speed up the progress. Please come to the appointment prepared to pay for the session. If you have BlueCross/BlueShield insurance, please check to see if you have met your deductible. If you have not met your deductible, you'll need to pay for the sessions, until it's met. If you’re interested in counseling, webinars or classes please read below. If you're interested in the free webinar on "Raising Anxiety Resilient Children", fill out the form below and I'll send you an invite. Please mention the class in the message section. If you’re interested in the “Parenting an Anxious Child Class”, please also fill out the form below. Also, read below for more details on the class. When is the class? The class is held every Thursday evening from 7:00-9:00 pm. How much is the class and How do I pay? it’s $35 for individuals and $50 for a parenting couple. you can pay at the class via check, card, Cash, venmo or gold bars ;). What will we do in the class? In each class you will learn different parenting techniques to help prevent or over come anxiety. The class will also be an opportunity to learn more about your child’s specific issue, and receive coaching and support from a therapist. Questions? Comments? Ready to Schedule? Teenagers can be hard, getting them to counseling with their active schedules can be even harder. Finding a counselor with the same beliefs and values, can be equally difficult. That's where I come in. There's a saying in counseling, that you need to meet the client where they are at, I'm taking that literally. My name is Jeff Gregson, and I'm a licensed mental health counselor. I've been working as a therapist for 18 years and have seen a lot of changes in those years. Those changes include the increase of anxiety and depression of our youth, the increased challenges they face and the means by which they can avoid (substances, video games, social media etc.). However, the positive changes out number the negative! We know so much more about anxiety, depression and OCD and have amazing researched based methods to help. I've had the good fortune of working in private therapeutic boarding schools for the past 15 years. In these settings I've worked with teenagers from all over the world, many of which come from the homes of celebrities, CEO's of large companies and politicians. I don't say this to boast, but rather to recognize that I have received the best training and skills our field offers. High profile clients expect the best and demand results. I'm excited to offer this same level of skill and care to you and your child. 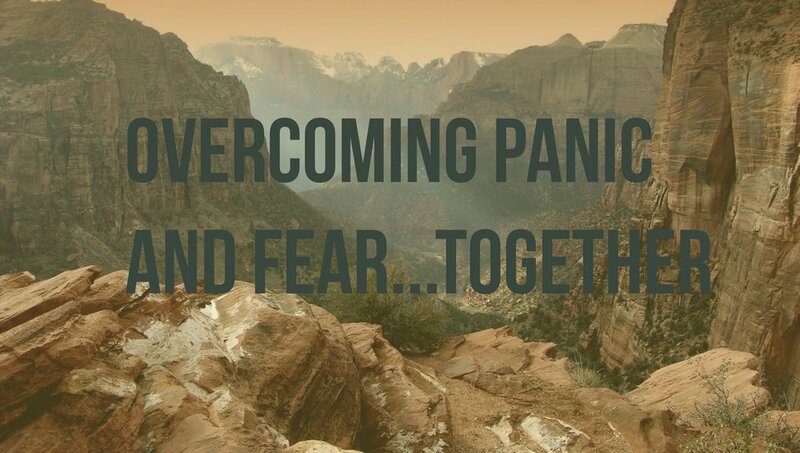 On a daily basis I help clients overcome panic attacks in their first session, defeat depression in just weeks and take control of their OCD in months. Children are extremely resilient, open and capable of making rapid changes. Think about how amazing it is that their brains can fool them into a negative mood. Now, let's recognize that same powerful brain and how it can improve their mood. Anxiety is simply a super power, one that your child just needs to learn to hone and control. Let me see what I can do to help your amazing child. I work with all ages, but specialize in children, teenagers and young adults. Anyone can work with adults, teenagers take a special kind of person. So yes, I'll work with you no matter the age! I've been doing out-patient therapy with adolescents and older children for 18 years, and have specialized in anxiety, depression and OCD. If you're child is avoiding school, friends, social activities and spending all their time home gaming...it's probably anxiety/depression. I've worked in private therapeutic boarding schools where my clients come from all over the globe, so I've learned to be very effective over video conferencing and phone when doing family therapy. I'll talk with you, the parent, and set up all the details. Basically, I conduct a interview on the phone with the parent so I know what the needs are. You complete intake paperwork that I email you, then we schedule the first session. The meetings can be on Face time, Skype or even a voice call if preferred. The session are 45 minutes long and I always follow up with the parents so they know how to support their child. I also email assignments, descriptions of therapeutic topics and various resources to enrich the counseling. As well, I have videos I'll send you that will describe key concepts we discuss in therapy. I strongly believe that having the parent involved is essential in the child's success. The 45 minute sessions are $125. Payment can be set up by bank card or through electronic services such as the Cash app and Venmo. I also offer a weekly payment plan for those on a tight budget. I understand that between soccer, piano and dance lessons, there's not much left in the bank. The weekly payment plan is just $25 a week, until the total amount owed is payed (please note this offer is only extended to online clients). I have more questions, how do I contact you or get more information? Please don't hesitate to call, text or email me with any questions. I'm honestly good with spending some time with you on the phone, and consulting free of charge. You can also fill out my email form in the contact session of this website or simply hit the contact me button below. As well, I would suggest you browse the rest of my site to learn more. I hope to hear from you and wish you well. I get asked daily what books I recommend for anxiety, depression and OCD. Here they are! My daughter, Kennedy and I presenting at the Anxiety Disorders and Mormonism Conference on, Raising Anxiety Resilient Children. I have a message and would love to share it with you. I'm more than happy to share my message of understanding, hope and tactics to help you raise your children in a way that prevents anxiety from taking over. My presentation is 1 hour and is free to church organizations (firesides, 5th Sunday, leadership trainings and youth conferences), schools, and other volunteer/non profit organizations. Yes, I have, and will be happy to travel to your State to speak as well. I'm also available to speak on any subject related to anxiety, depression, OCD you'd like.